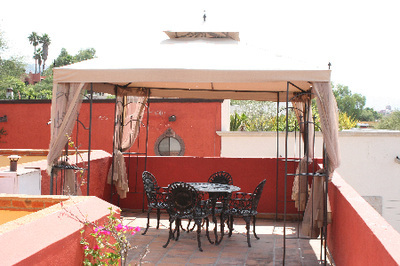 We also have room at the other hacienda, called Casa Manana -a three block walk from Casa de la Noche. 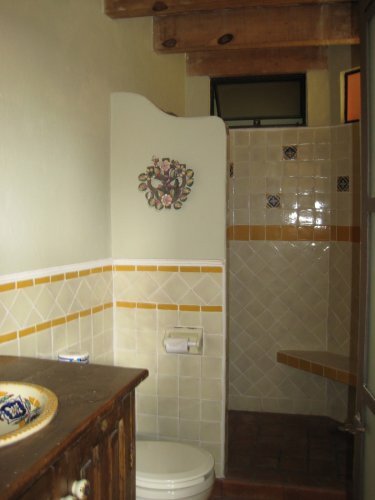 Check out the lovely color brochure on Casa Manana by clicking on 'Download File' below. 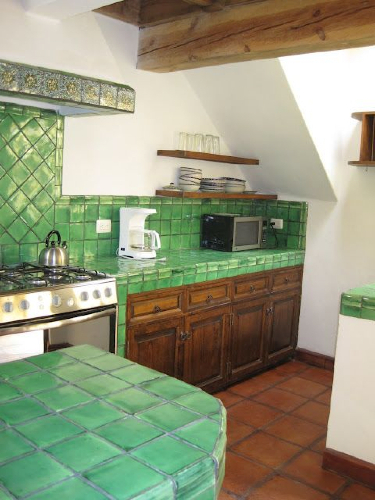 Breakfast is served at Casa de la Noche and is included in your stay at Casa Manana. The Patio Suite: This charming bedroom is on the second floor and features a queen-sized bed, jetted jacuzzi tub and generous closets in the adjacent dressing area. 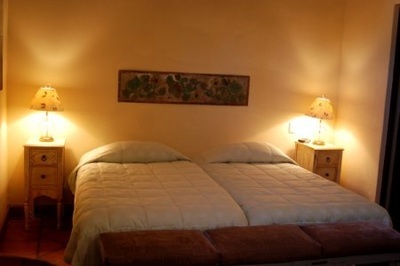 Other amenities include wi-fi, in-floor heating and a state of the art purified water system throughout. Common area has a cable TV and well-equipped kitchen. 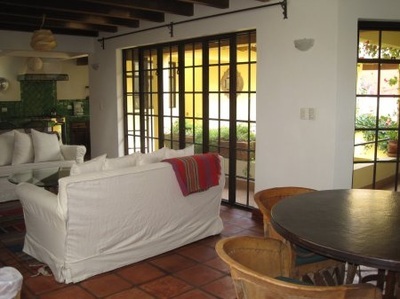 Manana Mirador: Entry to this charming bedroom, finished in Spring 2011, is approached from the ground floor, by the second floor patio then up a final flight of stairs to a stunning view of San Juan de Dios and surrounding areas. 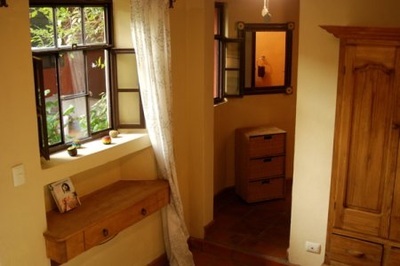 Casa Manana Luna Room Tucked away next to the shared outdoor living room with its own fireplace and romantic lighting and flower filled courtyard, this ground level room has a comfy King bed (or two twins) and antique furniture and original art on the walls. 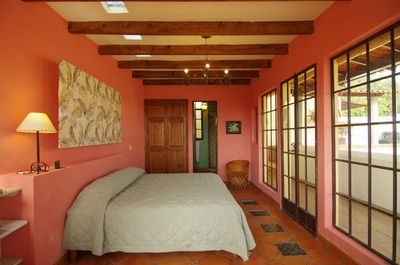 Casa Manana Sol Room This first floor bedroom opens to a plant filled courtyard. It features a queen-sized bed, generous closets, small writing desk and a private bath with a tiled tub and overhead shower. 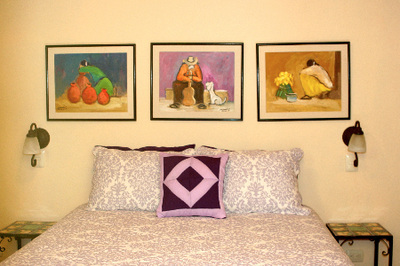 Original art is on the walls and the floors have radiant heat for a comfortable ambiance.